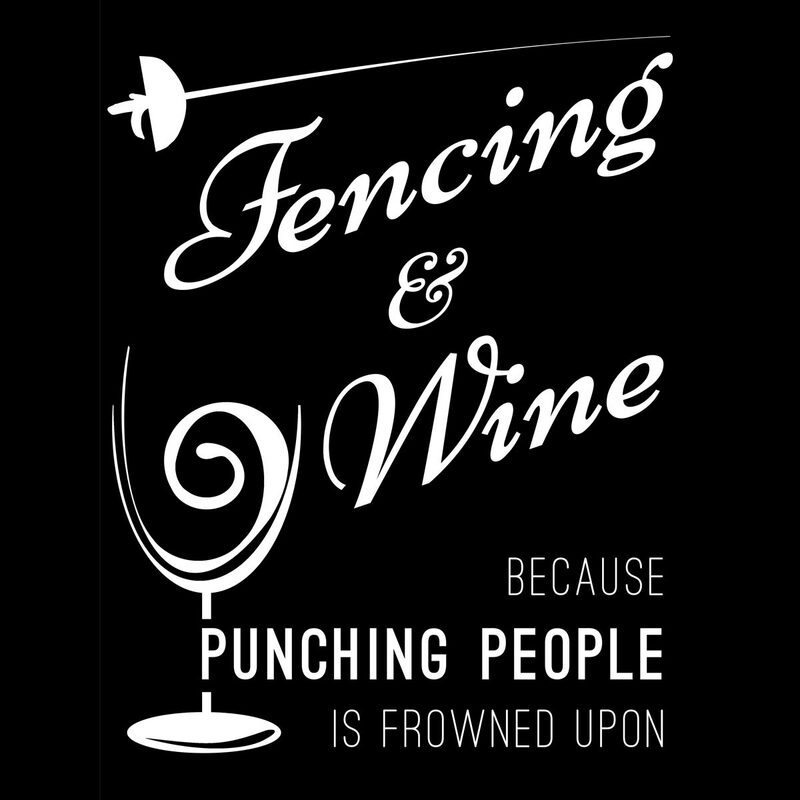 Stabbing people with your weapon and then relaxing at home with a glass of wine makes the perfect evening and releases all the stress! 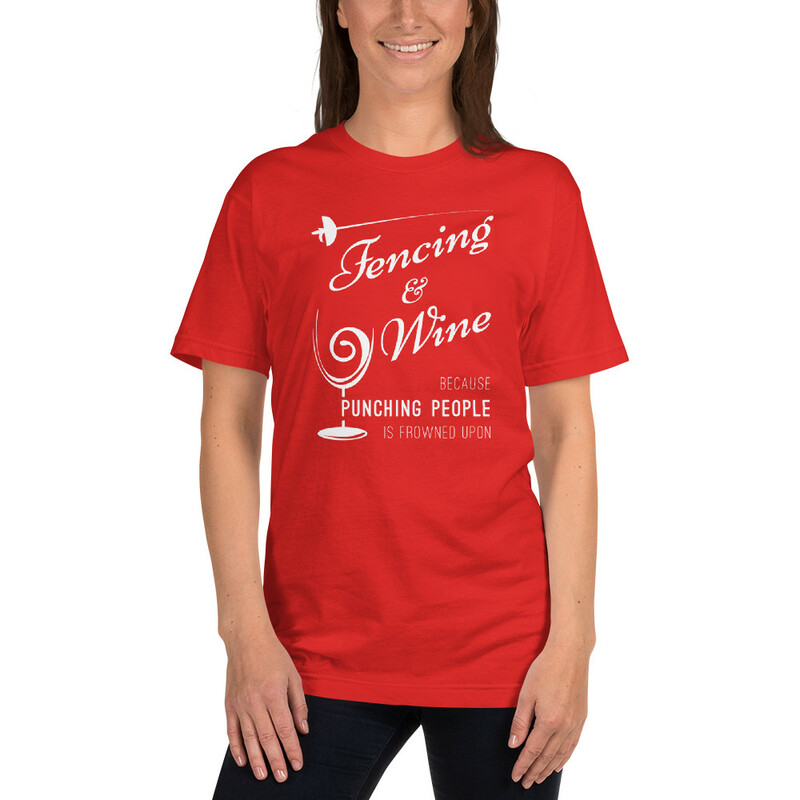 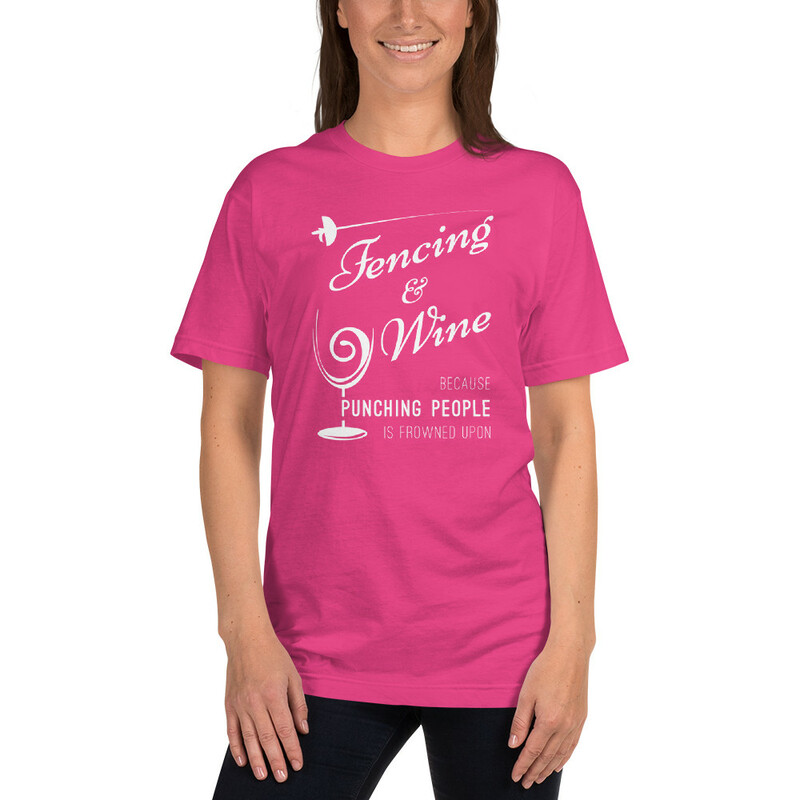 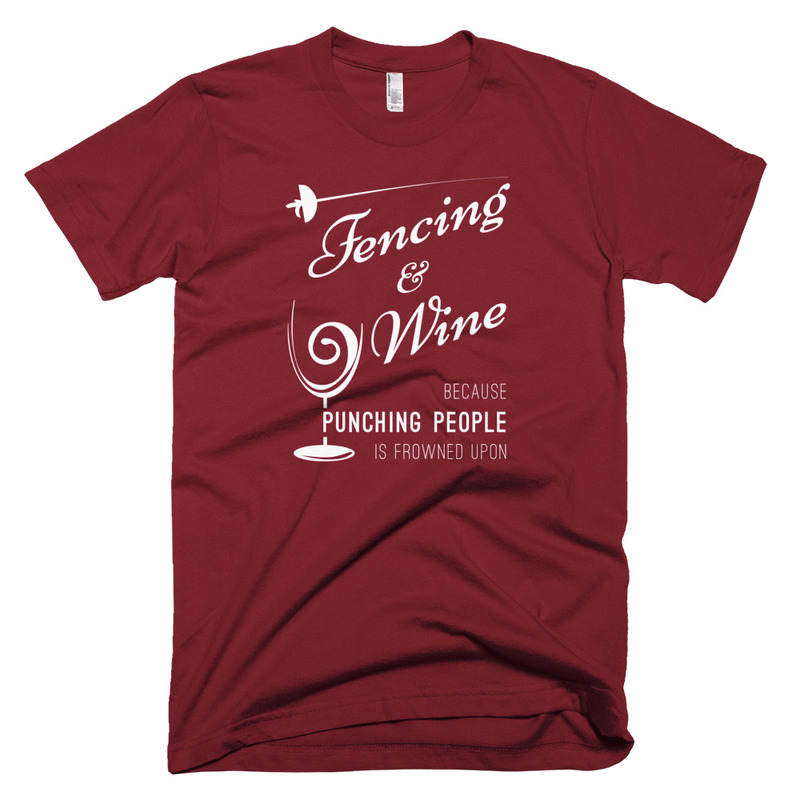 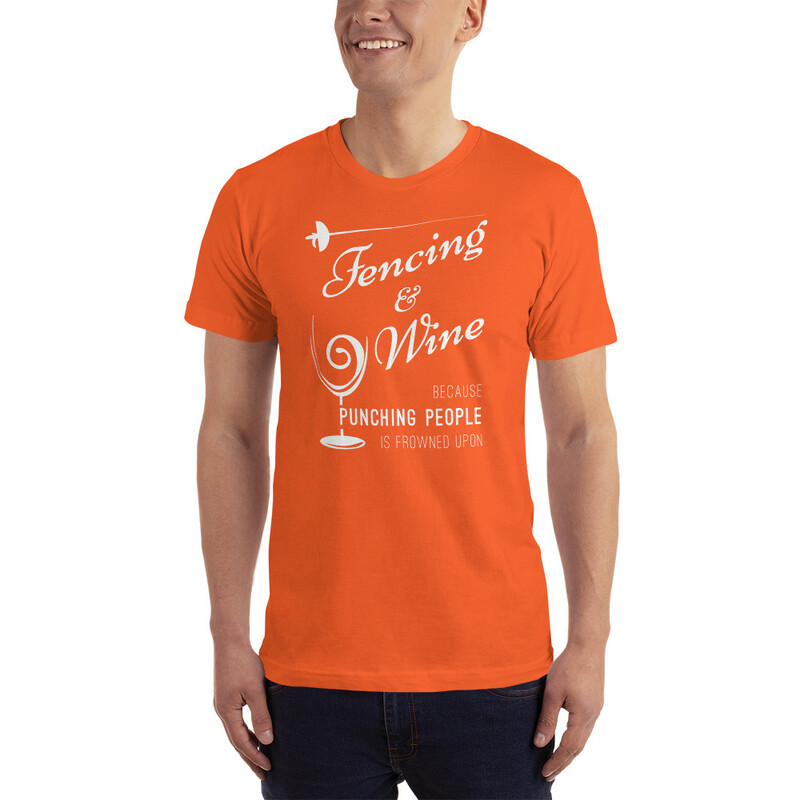 If you fence and like wine, just like we do, this is the perfect and funny shirt for you to make a statement! It will make a great gift to any fencer who enjoys some wine.